f) the method of voting. 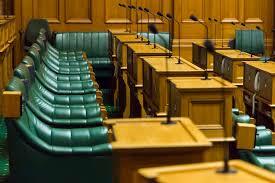 The Maori seats were introduced on a temporary basis in 1867 to give Maori men the right to vote. The settler government had requested colonial authorities to waive the property qualification that conferred the right to vote under English law – since it did not apply to communal land – but they refused. As a result, four Maori seats were introduced as an interim measure while the Maori Land Court set about the complex task of individualising Maori land holdings. The seats were meant to remain in force for five years, but had to be extended for a further five years, and then indefinitely. The property ownership voting qualification for men was not removed until 1879, giving Maori men who didn’t qualify the right to vote 12 years earlier than non-Maori men. The Maori seats should have been abolished at that time, but with the introduction of universal suffrage in 1893, any practical reason for separate Maori seats disappeared completely. If a binding referendum on the future of the Maori seats was held, would you support entrenching them, or abolishing them? Beware all who seek equality in issues such as this may be branded as a racist. Geoff. This is the 21st century. Maori as a race, no longer exist. Only descendants of Maori who fall into two categories. The greedy elite, who care for nothing except their own selfish agenda.. The rest, who are getting on with their lives as best they can, or are indoctrinated lefties who believe life should be a free ride, & every-body else is to blame for the predicament that they find them-selves in. Separatism has no place in a freedom loving country such as ours. Maori should not be treated as inferior citizens that need preferential treatment. The realists know this & promote assistance when needed regardless of ethnicity. Globalist agenda; Divide & conquer.. A.G.R.